Apparently Old Man Whitman isn't selling enough candy on Valentine's Day because now he's trying to muscle in on Christmas. 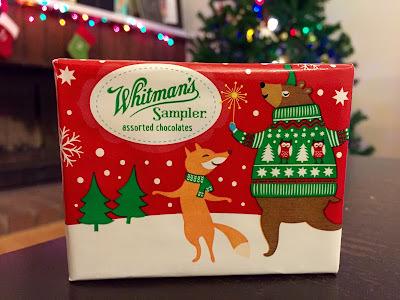 Whitman's Samplers feel more like February candy to me but the box's wrapping paper is festive and the stuff inside is always tasty so I cracked one open a couple months earlier than usual this year. Chewing on the chocolates gave me time for reflection. I started thinking about how when I was a kid my family made an annual midsummer drive down into the hills of Tennessee to attend our family reunion. My mom grew up with these people but not me. I was raised miles away and only saw them once a year. When you got right down to it, this gathering wasn't much of a reunion for me because I had no real union to re. "What does this have to do with Whitman's Samplers?" I'm glad I asked. 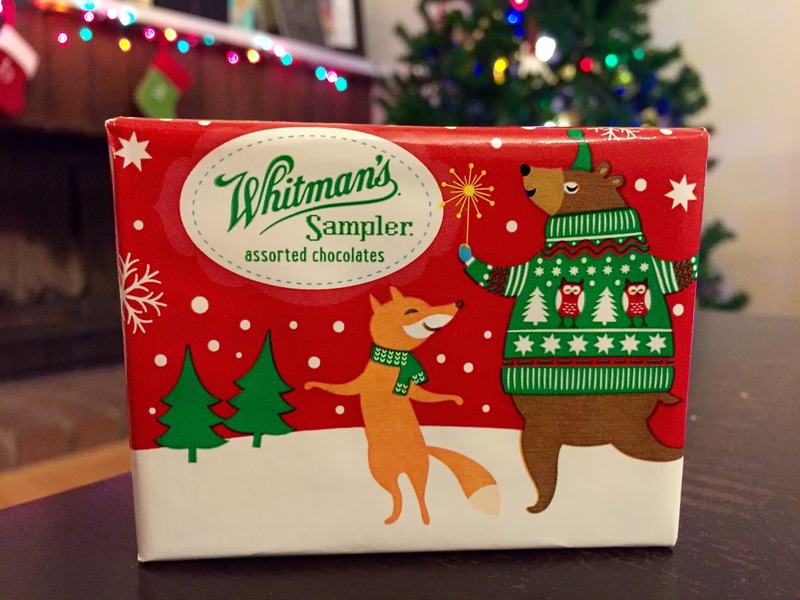 "Sampler" implies that Whitman is giving you this selection to sample so that you can choose which flavor or flavors you'd like a whole box of. But have you ever seen a whole box of, say, Molasses Chew or Pecan & English Walnut Clusters? I haven't. I doubt they exist anymore. I suspect that all Whitman ever puts in stores is the sampler. Given that, is it really a sampler? Was my reunion really a reunion? I don't know. 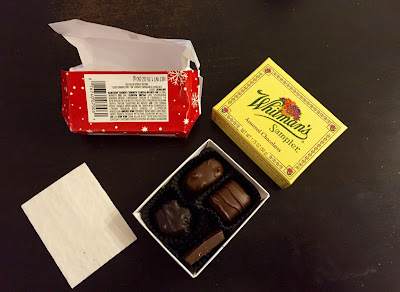 My Christmas Whitman's Sampler only contained four pieces. I finished the candy before I came to any conclusions. I guess I'll have to reconsider the matter come Valentine's Day.